One of the more welcomed outcomes of the paring back of the U.S. State Department bureaucracy is the elimination of scores of “status quo enthusiasts.” Since the end of World War II, the State Department’s ranks have been populated by foreign service officers and career diplomats who have championed the international status quo. These minions of Foggy Bottom received encouragement for their protective stance on post-World War II and Cold War in President George H. W. Bush’s speech on September 11, 1990, which was titled, “Toward a New World Order.” Under the “new world order,” regional and global security concerns would supplant democratic independence movements. The immediate effect of this “order” was brutal crackdowns on secession in the periphery of the former Soviet Union, including Abkhazia, South Ossetia, Nagorno-Karabakh, Transnistria, as well as in Somalia, the Kurdish regions of Iraq and Turkey, East Timor, Sudan, and Ethiopia. However, in Yugoslavia, which the United States and European Union wanted to see dissolved, secessionists in seven constituent states were encouraged to secede from the federation. That resulted in the bloodiest military conflicts in Europe since World War II. Leaders of secessionist groups visiting Washington were traditionally shunned by the State Department. These hapless would-be presidents and prime ministers would be lucky to meet with a low-ranking State Department employee. However, if their independence movements were championed by the Central Intelligence Agency, they would get red carpet treatment. Such was the case with Secretary of State Madeleine Albright’s favorite Balkans “toy boy,” Hashim Thaci, the leader of the terrorist Kosovo Liberation Army and now President of the Republic of Kosovo, which was carved out of Serbia but is still unrecognized by many of the world’s most important nations, including China and Russia. Today, one of the most-commonly seen words in State Department Country Desk reports is “secession.” In the past, State Department senior bureaucrats would be raising this development with the Secretary of State as a major threat to U.S. interests. The CIA would then be instructed to remedy the situation by providing intelligence support to the countries where secessionist activity was a rising problem. “Support” would range from intelligence assistance to full-blown military aid. As the United States recedes from the “world’s only superpower” status, to the chagrin of neoconservatives who are pouring into the Donald Trump administration in order to right the capsizing ship-of-state, secessionist activity is seen from the streets of Catalonia, which recently re-elected a pro-independence parliament, to virtual city-states in Mexico, which are increasingly going it alone to offset the breakdown in federal security and law enforcement support. 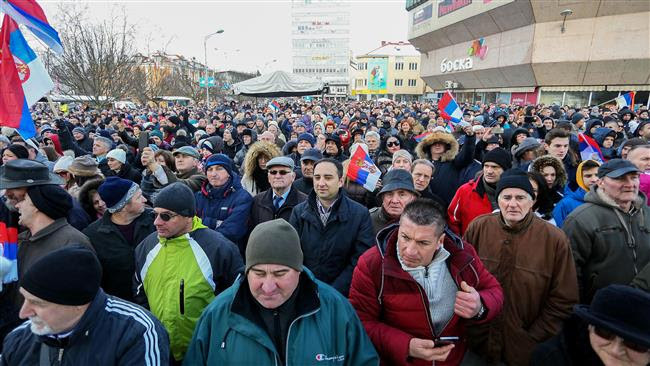 In the secessionist-minded Republika Srpska, a restive constituent region of the Bosnia-Herzegovina federation, Serbian nationalists have held a banned “statehood” celebration in the regional capital of Banja Luka. Srpska President Milorad Dodik demanded more autonomy for his region, declaring there were two Serbian states, Serbia and Republika Srpska. Present at the banned event were Serbian Defense Minister Aleksandar Vulin, Interior Minister Nebojsa Stefanovic, and former Serbian President Tomislav Nikolic. Joining them was Anatoly Bibilov, the President of the breakaway Republic of the Republic of South Ossetia–the State of Alania in the Caucasus region. To the consternation of Eurocrats in Brussels and in the Balkans, also in attendance was Aleksandar Karadjordjevic and his wife, the heirs presumptive to the throne of the former Yugoslavia, and Johann Gudenus, the chairman of the Austrian Freedom Party (FPO), which makes up half of the governing coalition of Austria. Dodik awarded a Republika Srpska medal to Austrian Vice-Chancellor Hans Christian Strache, the leader of the FPO faction in the Austrian government. In the past, such an international outpouring of support for a secessionist-minded republic would have resulted in a flurry of diplomatic protests and démarches from the State Department. After a recent election returned a coalition of pro-independence Catalonian parties to a majority of 70 seats in the Catalonian 135-seat parliament, the neofascist Madrid government of Mariano Rajoy has been put into a quandary. The Catalonian parliament has re-elected former Catalonian President Carles Puigdemont, who was removed by Rajoy after an October 1, 2017 referendum that favored independence. Puigdemont, who is in self-exile in Belgium, where he has the support of the powerful Flemish pro-independence party, faces arrest by the Madrid regime if he returns to Catalonia. The thuggish reaction by the Rajoy regime has engendered sympathy for the Catalonian cause in other secessionist-minded regions of Spain, including the Basque region, Valencia, and Galicia, and around the world. The case of Catalonia has resulted in popular blowback against Spain from other parts of Europe, including Scotland, which is demanding a second referendum on independence upon Britain’s exit from the European Union. Support for continued membership in the EU has also increased demands for independence from Wales and Northern Ireland in the United Kingdom. Taking a cue from the Madrid government, Nigerian authorities recently arrested Cameroonian Anglophone secessionist movement leader Sessekou Julius Ayuk Tabe, along with some of his aides, in the Nigerian capital of Abuja. The arrests came after Cameroon accused Nigeria of harboring supporters of the breakaway region of Ambazonia on the Nigerian side of the border. 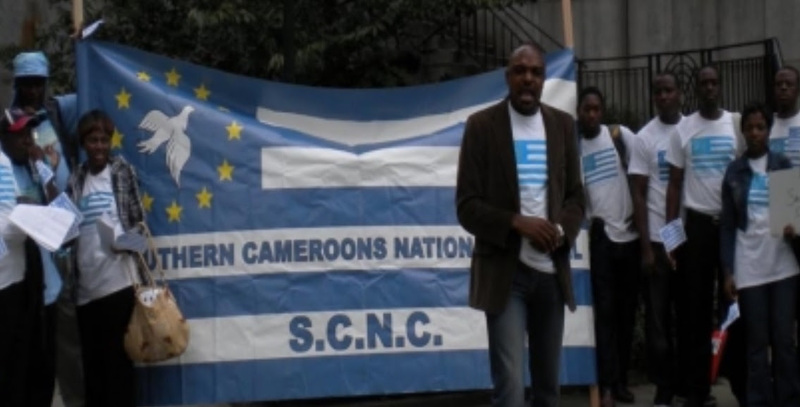 French-speaking Cameroon considers the English-speaking secessionist movement to be a “terrorist” organization, the usual appellation assigned by Third World dictatorships to pro-democracy groups and movements. THE UNITED Arab Emirates, Iran, Saudi Arabia, Egypt, and Qatar. The UAE sees Somaliland and a restored independent South Yemen as in its national interests, hence, the oil-rich federation is establishing de facto bases in Somaliland’s port of Berbera, the Yemeni island of Socotra in the Gulf of Aden, and two key Yemeni islands in the Red Sea: Perim and Kamaran. 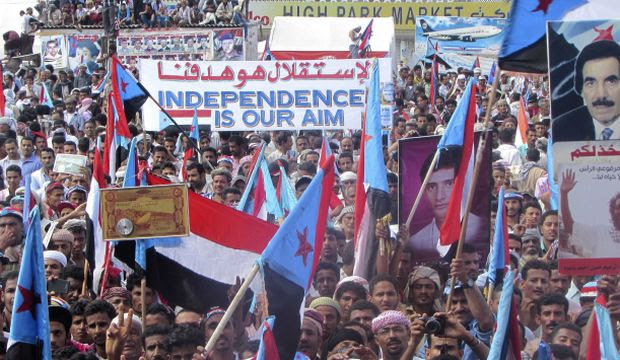 In the past, the United States, which always wanted Socotra for its own military use, merely because it was once a Soviet intelligence base, would have threatened Yemen and the UAE with reprisals. However, Yemen is a failed state and the UAE is now overshadowing American influence in the Red Sea/Gulf of Aden region. In Mexico, the town of Tancítaro, which lies deep within the drug cartel-controlled state of Michoacán, has decided to establish a de facto city-state. The “avocado capital of the world” is now governed by a “Junta,” which is backed by wealthy avocado growers who have hired their own security force to contend with the narco-gangs. Similar quasi-city states have been established in Monterrey, where local businesses have taken over security duties from corrupt police, and Ciudad Nezahualcóуotl (or “Neza”), outside of Mexico City, where the local leftist administration has established its control over the local police, monitoring their every activity for corruption or human rights abuses. The Algerian government has decided, after years of opposition, to acceding to some of the demands of the minority Berber Kabylie Independence Movement. Amazigh, the Berber language, is now an official language of Algeria. Algeria now celebrates January 12 as Yennayer, the Amazigh New Year. An Amazigh language academy is now planned in Algeria. In the past, the U.S. State Department, influenced by U.S. oil and gas firms active in southern Algeria, would have been aghast at concessions by the Algerian government to Berber nationalists. In what worries Spain, Amazigh is now the third most widely spoken language in Catalonia, after Spanish and Catalan. 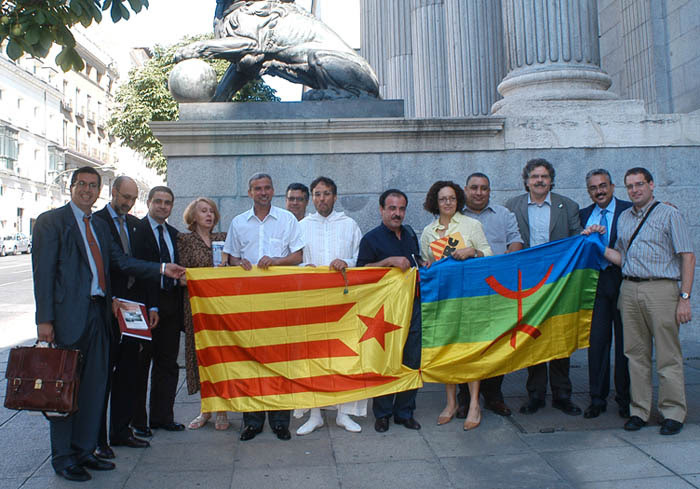 The Catalans and Amazigh share common ancient roots that have manifested themselves in modern cooperation to advance their statehood goals. In India, some “scheduled tribals,” the name assigned by the government to indigenous tribal groups, are examining historical documents between British colonial officials and their own past leaders and are discovering they have every right to independence from India. 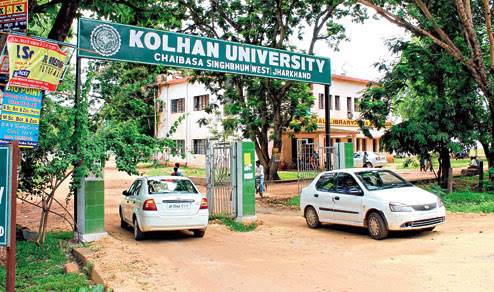 Indian police recently arrested for “sedition” the 83-year old Ramo Birua, an 83-year-old from a village in Jharkhand state, because he called for the raising of the flag of an independent Kolhan state. Birua and his followers cited the rule imposed in 1837 by the British Agent for Kolhan region, Sir Thomas Wilkinson. The “Wilkinson Rule” stipulated that the existing civil and criminal laws of tribal states would be recognized by the British authorities. India’s independence did nothing to change the Wilkinson Rule, thus, “scheduled tribes” across India have a legal right to go their own way. In the case of Mr. Birua, he claims his tribe’s right to sovereignty is ensured by British Queen Elizabeth II, as the heir to Queen Victoria, the British monarch whose royal imprimatur was conferred upon the Wilkinson Rule. Even within the United States, there is talk of “autonomy” by states from federal intrusions. Colorado is prepared to fight the Trump administration’s stated crack down on marijuana sales. 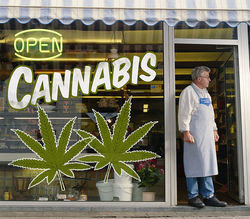 In Colorado and other states that have legalized marijuana, Democratic and Republican officials are prepared to fight the Drug Enforcement Administration in any moves against their legalized medical and recreational marijuana industries. The same applies to federal authority to conduct offshore oil exploration and drilling. California, which has also declared its independence from Trump’s withdrawal from the Paris Climate Accord, is standing opposed to drilling in its Pacific waters. Florida successfully persuaded Trump to exempt it from the drilling order, however, Virginia, North Carolina, and other states are seeking similar exemptions. Other matters that are driving states’ rights rebellions against Washington are in the areas of immigration, federal land use, engine emissions standards, voting rights, health care, and public education. Puerto Rico and the U.S. Virgin Islands, abandoned by Washington after repeated hurricane disasters, are subtly re-evaluating their previous opposition to independence. The demise of neo-colonialist busybody diplomats at the State Department has ushered in a “global spring,” where both active and long-dormant independence movements are seeing glimmers of hope for their own nation-states.